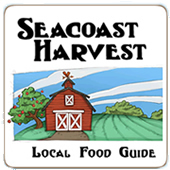 Seacoast Harvest connects people with sources of locally grown food. We distribute the guide for free, so that families can easily gain access to healthful, whole foods. And we do not charge for the listings, because we believe in supporting local farms for the health of our environment, community, culture, and economy. Everyone benefits from the positive impact of environmentally and financially sustainable local farms. Seacoast Harvest is made possible through the generous work of many volunteers, support from our sponsors, and donations from people like you. Become a Seacoast Harvest sponsor. Support farmers & build our local food system with a tax-deductible Seacoast Harvest donation!